The children of Haiti are so beautiful. They are friendly, gentle and loving. The beauty of the island is undeniable. Unfortunately, the country's economy is the poorest in the western hemisphere. This is not the fault of the children. For reasons beyond our understanding they have been born into situations outside their control. Many have asked us what hope is there for this country just a few short miles from the U.S.? What could change it for the better? With so many things broken, it is doubtful that it can be fixed for many years if not generations. What hope then, is there for these children? Like a lot of other things, if you only look at the big picture, it's discouraging. But if you look at the picture, one child at a time, there is some hope. The Haiti Mission School is a primary school located in a rural mountainous area about an hour from the city of Jèrèmie in the Grand Anse district of Haiti. The school is about 45 minutes from the nearest road and can only be accessed by foot or horseback. 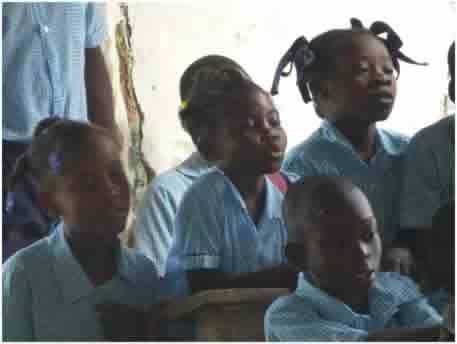 In 2007 The Rev.Tom Parsons and his wife JoEllen were called to start a primary school (grades k-6) in the mountains of southwestern Haiti outside the city of Jèrèmie. They began with one class of Kindergarten/first grade. As each year passed they added another class until all six grades were complete. A free primary education is now available to area residents. At the completion of the 2016 school year, three classes had graduated and current enrollment was 147. Fifteen of our graduates are receiving scholarships to a nearby secondary school. Among those students are potential doctors, lawyers, nurses, pastors and maybe even a future Haitian president. At the very least, all our graduates will be able to read, do basic math, and have an understanding of history, geography, science, hygiene and a basic bible understanding. The school is unique for a number of reasons. It is the only tuition-free school in the area, thereby making an education available for even the poorest of the poor. Students also receive a free hot meal each school day. Bibles in the Haitian language are provided to all who complete third grade. Pure filtered water is available for cooking and drinking at the school. 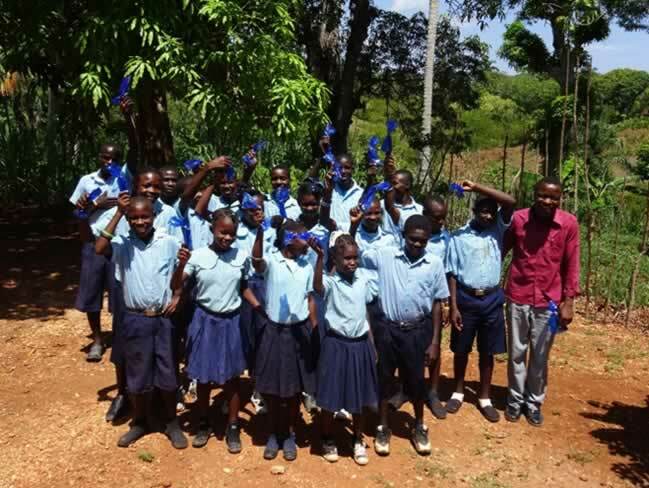 In 2016 students were provided with filter straws to wear around their neck that will make filtered water available to them wherever they might be.